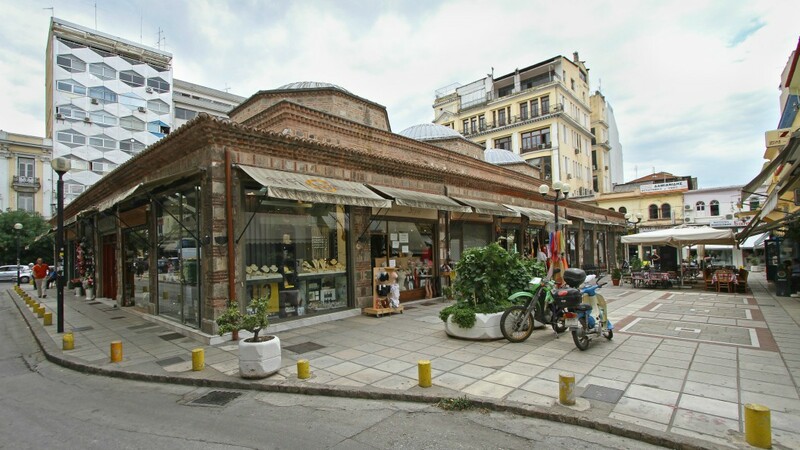 Although Thessaloniki is a large modern city – not to mention the second biggest city in all of Greece – it has managed to retain many of its delightful traditional small neighborhoods: a fact which undoubtedly makes Thessaloniki a charming place to visit and explore. One of the best known of these traditional ‘corners’ is the famous Athonos Square. Situated in the very center of the town between Aristotle and Agia Sophia streets, the square’s abundance of bright buildings and special traditional colors will certainly impress you. Walking through the narrow paved streets that surround the square, you will discover many small traditional shops . Athonos Square is a small but very lively market, popular for its traditional cafés and the many excellent taverns and restaurants serving original Greek dishes along with culinary dishes from around the globe. Local specialties such as bougatsa, a delicious semolina custard pastry, are available from street vendors and restaurants alike, as are a variety of wonderful souvlaki dishes. After you’ve sampled the many delights of Square Athos, be sure to spend at least a little time exploring some of the city’s other attractions. These include the city’s numerous historic sites, such as the famous Roman Rotunda, the spectacular White Tower with its ancient Byzantine ramparts, and the beautifully preserved Church of Saint Demetrius. 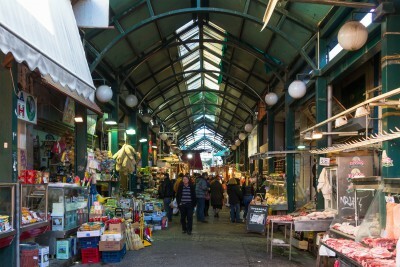 And if you’re not done shopping, eating or drinking, be sure to spend time checking out and exploring some of Thessaloniki’s many other popular traditional markets. 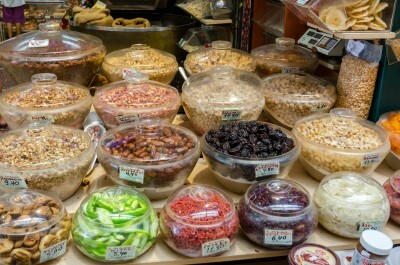 Some of the best include Modiano; the Kapani (or Vlalis) market; the city’s famous flower market, Louloudadika; and the wonderfully preserved 700 year-old Ottoman-era Bedesten Market. Maria Athanasopoulou is Founder of Respond on Demand, a company promoting Greek tourism to travel agents abroad and co-founder of Top Tourism , a non-profit company promoting Greek tourism and culture. She is also ambassador for Greece to the World Food Travel Association. LuxuryGreece.com is part of the LuxuryGlobe group of websites which focus on pure enjoyment and exquisite pleasure from around the globe. As we roll out our series of country-related websites users will be able to fast track to the country or city of their choice. © Copyright 2017- 2018 LuxuryGlobe. All rights reserved. Unauthorized duplication in part or whole without prior written consent is prohibited by international laws.